League pages have setting pages of their own! You can use this to customize the landing page as well as publish once you're ready for it to be publicly visible. 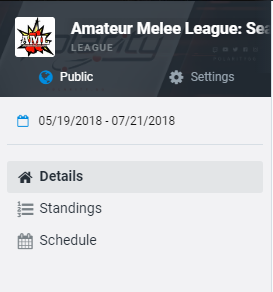 You'll be given access to your league page once it has been approved. Please refer to this article for more info on leagues as well as the submission form. 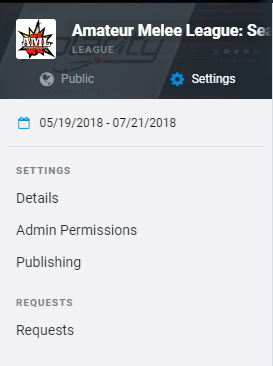 Access the admin page by switching from "Public" to "Settings"- just like you do on a Tournament Page. Feel free to contact us via your support chat or support@smash.gg if you have any questions!